It has been probably since grade school that I attempted a paper mache project. 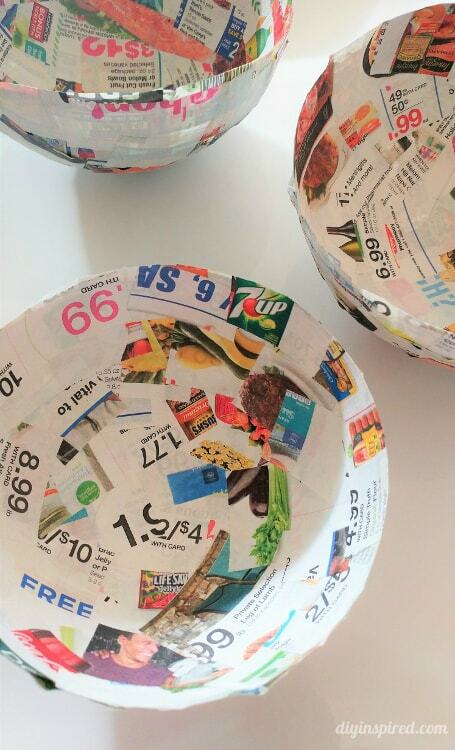 I wanted to show my daughter how to do it, so I decided to show her how to make paper mache bowls the other day. I painted them and then added a little design with markers. Here is how to make them. This materials list contain affiliate links for my recommended products. Mix 50/50 solution of Mod Podge and water and mix well. 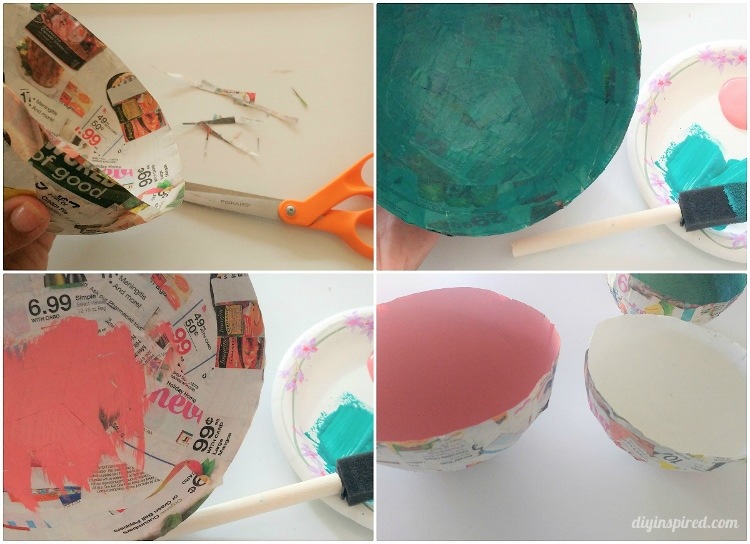 Cut small strips and or rectangles of newspaper. Blow up a balloon and tie it closed. 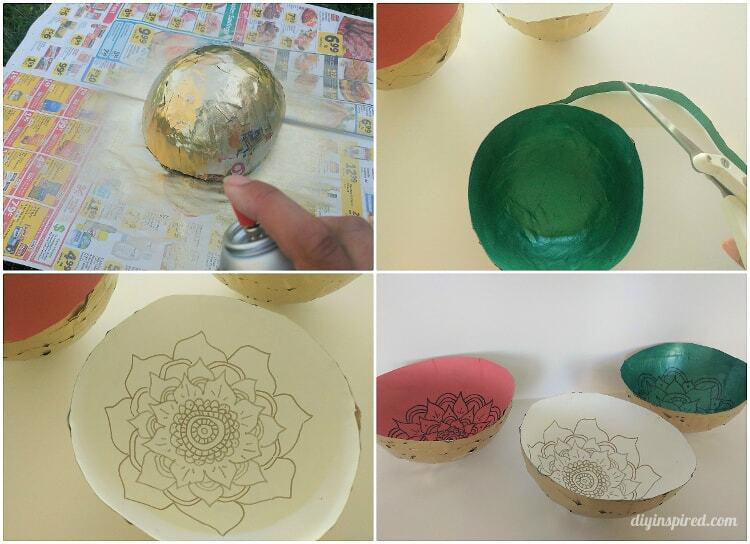 Use a bowl to hold the balloon in place. 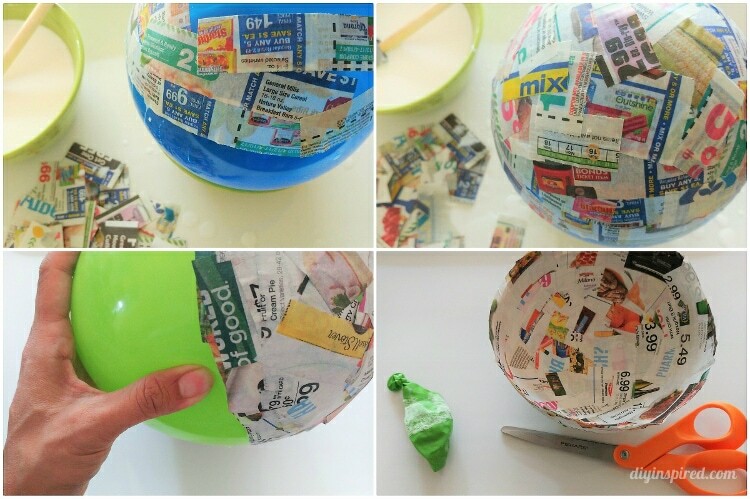 Dip the newspaper into the glue and water solution and place them one by one on the balloon. I did three layers. The more layers you do, the sturdier the bowl. 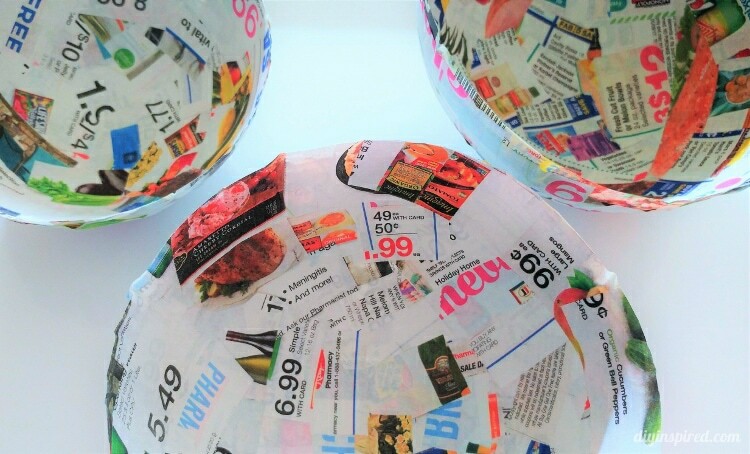 Allow the newspaper bowl to dry overnight to dry completely. Once dry, use your hands to gently squeeze the balloon around the edges. Use scissors to cut a small hole in the balloon. The balloon will remove with ease. Trim the edges with scissors for a clean rim. This is what they will look like. 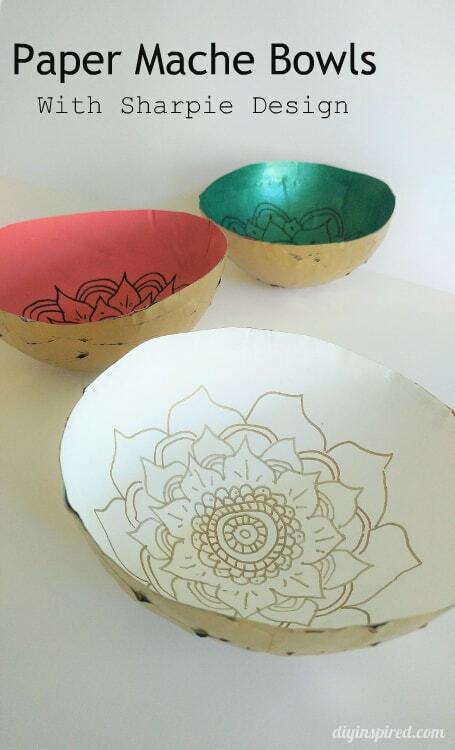 Paint the bowls with acrylic craft paint. I chose to paint the inside different colors. I painted two coats. For the outside of the bowl, I spray painted them gold, then trimmed the rim a little more. Lastly, I free-handed a flower design with black and gold metallic Sharpie pens. Use them to hold any light (and dry) object like keys in an entrance, small office supplies on a desk, or makeup pads on a vanity. It’s great to read your handmade DIY work. I also hope to learn. What can be done by the novice?